Our newest police chief is Honolulu’s 11th chief of police. Having now served in this capacity for more than a year, Police Chief Susan Ballard will share her perspectives on overseeing the operations of the Honolulu Police Department. What are the major areas of concern for businesses and what police programs are addressing these concerns? What are police allowed to do (or not allowed to do) about homeless setting up in front of businesses and private residences, and at what point may a business or homeowner contact the police for assistance? How is the police department addressing new types of crime such as cyber crimes and identity theft? How could business owners and managers work together with the police to make and keep Hawaii safe for our companies, residents and visitors? Police Chief Susan Ballard joined the Honolulu Police Department in1985 and worked in a wide range of field and administrative assignments, including the Narcotics/Vice and the Downtown-Chinatown patrol district. As a commander, she led the Kaneohe and Kalihi patrol districts and the Finance, Training, and Central Receiving divisions. She believes in the department’s mission statement of Serving and Protecting with Aloha. Executives from BIKI and HUI will discuss the business model for their types of services, the demographics of the people who use their services, and what is needed to establish, grow and sustain new transportation options. Hawaii has recently had the lowest unemployment rate in the United States, and a record low for our state. What are effective strategies for businesses seeking to hire and retain employees in this environment? Our panel of experienced human resources professionals will share their insights and tips. Carl Hinson, Director, Workforce Development, Hawaii Pacific Health, has a Masters in Human Resources Management. He began his career in healthcare as a Physician Assistant. Carl is working on initiatives that will preserve Hawai‘i Pacific Health’s status as the workforce development leader in the health care field in Hawai‘i. He is actively involved in the DOE’s Health Careers Pathways Advisory Board and Hawai‘i Chamber of Commerce Workforce Development and Education Committee. Sunshine Topping, Vice President – Human Resources and Culture Office, Hawaiian TelCom, is a seasoned HR executive with nearly two decades of experience. Prior to joining Hawaiian Telcom, she was Chief Human Resources Strategy Officer for ‘ike, a Hawai‘i-based technology company, was Senior Director of Recruitment for Hawaiian Airlines. She is an appointed member of the State Workforce Development Board and is a Board member of the Society of Human Resource Management – Hawai‘i Chapter. Judy Bishop is owner, President and CEO of Bishop & Company, a recruiting and staffing firm. She has more than 30 years of experience in recruiting and staffing, spanning three continents. She has received numerous awards and recognitions. She currently serves on the Boards of Directors of IONA Dance Company and the Hawai‘i Society of Business Professionals, and serves on the Employer Engagement Committee of the State Workforce Development Council. Always popular, entertaining and discerning, the original Killer B’s – Dan Boylan, Richard Borreca and Jerry Burris – are busy as bees preparing commentary and analysis on national, state and local elections. Make a beeline to Ala Moana Hotel on Thursday, September 20, to hear the latest buzz from this distinguished panel. Dan Boylan is Emeritus Professor of History at the University of Hawaii – West Oahu. He writes a column titled “Mostly Politics” for MidWeek. Richard Borreca writes a weekly column for the Honolulu Star-Advertiser and is a frequent contributor to The Hawaii Herald. Jerry Burris is the former Editorial Page Editor for the Honolulu Advertiser, and currently a freelance writer. The newest group of foreign investors to make the news in Hawaii are from China. Their high-profile purchases include expensive residential properties, office buildings, hotel properties, and land. With the changes in the global business environment, our panel will discuss relevant topics including the actual extent of Chinese investment in Hawaii, how it compares with overall investment throughout the United States, how the relationship between the U.S. and China affects investment, how business practices differ in China, and what factors influence their investment decisions. Dr. Lawrence C. Foster has traveled to China since the late 1960s and for eight years lived part of the year in China where he was a Senior Consultant at a major international Chinese law firm and taught at Beijing University’s School of Transnational Law. In addition to a law degree, he holds a Ph.D. in Chinese language and literature. Dr. Foster is the former Dean and an Emeritus Professor of Law at the University of Hawaii’s William S. Richardson School of Law. Mark Bratton is President of Bratton Realty Advisers, Ltd. and is exclusively contracted with Colliers International,. He has represented sellers of hotels & resorts, retail/shopping centers, office & industrial buildings, multi-family properties, and development land, and has been recognized with numerous awards for his outstanding work. He received his formal education in Real Estate Investment and Development from San Diego State University. Jeffrey Daniel Lau, a US attorney, has practiced commercial law for over 40 years, including representing international clients from China and Taiwan. He was President of the Chinese Chamber of Commerce of Hawaii and is the China Liaison for the City and County of Honolulu. He mentors China mid-career managers at the East West Center’s Asia Pacific Leadership Program at UH and International Business majors at the Shidler College of Business. He has lectured or worked with a number of universities throughout China. How do we know what to believe anymore? The business community relies on information about the world around us in decision-making. With the increase in “fake news”, how do we determine what information is reliable, what sources are trustworthy, and what is disinformation and unsubstantiated rumor? What role do social media “bots” and trolls play in diminishing the credibility of the media and what can be done about them? How do the different media (television, print, on-line) approach these issues? Expect a lively discussion from our distinguished panel. Rick Blangiardi is General Manager of Hawaii’s largest multimedia company, Hawaii News Now, KGMB (CBS), and KHNL (NBC). He has held senior executive positions in New York City, Seattle, San Francisco and Los Angeles. Among his many awards is the 2010 Salesperson of the Year award from the Sales and Marketing Executives International Chapter. Jim Simon is Managing Editor of the independent nonprofit news site, Honolulu Civil Beat. Jim spent more than 30 years as a reporter and editor at The Seattle Times, holding several leadership positions there, including managing editor. He helped lead Seattle Times teams that won two Pulitzer Prizes for breaking news — the first in 2010 for coverage of the killing of the three suburban police officers; the second in 2015 for reporting on a deadly landslide in Northwest Washington. Jim replaces Patti Epler, who was unable to attend. A. Kam Napier is editor in chief of Pacific Business News. Prior to joining Pacific Business News, he was with Honolulu Magazine for 19 years, 8 as editor. His articles on subjects ranging from architecture to zoology have won awards from the Hawaii Publishers Association and the Society of Professional Journalists-Hawaii Chapter. As an island state with a tourism-based economy, Hawaii is especially vulnerable to the effects of climate change such as warming air temperatures, sea level rise, shoreline erosion, and rising ocean temperatures. What is the impact of climate change on our businesses and community? How can we deal with those impacts? What are the strategic goals of the City’s new Office of Climate Change, Sustainability and Resiliency? Josh Stanbro is Chief Resilience Officer and Executive Director of the Office of Climate Change, Sustainability and Resiliency for the City and County of Honolulu. He brings a track record of developing cross-sector partnerships to his role in Mayor Caldwell’s administration. He previously served as Environment and Sustainability Program Director for the Hawaiʻi Community Foundation and headed The Trust for Public Land’s Hawaiʻi Office. Major growth is happening in Leeward Oahu, including in Kapolei, West Oahu and Kalaeloa. The master-planned City of Kapolei, which broke ground in 1990, has grown into a center for business, commerce and government. Where are we today compared with the vision that Campbell Estate had decades ago? What is going on now, and what is the progress of industrial and mixed-use developments in West Oahu and Kalaeloa? What special zoning is applicable? What is being planned for the immediate future, and what is predicted for 5 or 10 years from now? Steve Kelly, Vice President, Development for the James Campbell Company’s Kapolei Properties Division, is responsible for development and investment activities for a 2,600-acre real estate portfolio in Kapolei, including the City of Kapolei, Oahu’s new master planned city at the center of the fastest growing and most dynamic region in Hawaii. Christine Camp, President, CEO and founder of Avalon Group, is currently working on several residential and commercial projects in Hawaii, including developing Kapolei Business Park, a 178-acre industrial park in Kapolei. She has over 25 years of industry experience and leadership and is bullish on developing West Oahu. Steve Colón, President of Hunt Companies’ Development Division in Hawaii, manages the development of properties on Oahu, Hawaii Island and Kauai, encompassing retail, commercial and light industrial space. He is overseeing the development of 540 acres in Kalaeloa, the former Barbers Point Naval Air Station, into a mixed-use master-planned community. Making craft beer, rum and wine in Hawaii requires dedication, know-how, and an entrepreneurial spirit. What does it take to source local ingredients and produce beer, rum, or wine? What are the factors to consider when expanding geographically -- statewide, nationally, globally? What are the opportunities and challenges for future growth? Garrett Marrero is CEO and co-founder of Maui Brewing Co., a regional craft brewery and Hawaii’s largest craft brewer. Founded in 2005, Maui Brewing Co. has grown from a brewpub with 32 employees to a pub and brewery with over 400 employees. In 2014, Garrett co-founded Maui Stone Craft Beverages, a joint venture between Maui Brewing Company and Stone Brewing Co. to distribute craft beers across the State. Bob Gunter is President and CEO of Kōloa Rum Company, the first and only licensed distillery on Kauai. Kōloa Rum Company’s award-winning rums are distilled in a vintage copper-pot using local ingredients. Prior to joining Kōloa Rum, Bob was Operations Manager for Sandwich Islands Distilling Corporation and Vice President of Operations for Hawaiian Islands Spirits, Inc. in Maui. Paula Hegele is President of MauiWine, a multi-million dollar company that distributes products internationally, in major retail outlets and restaurants. Paula wears many hats -- she is also a community leader, local wine industry spokesperson and farmer. With over 25 years of winemaking experience on Maui and background in travel industry she shaped MauiWine’s winery into a destination for more than 100,000 visitors annually. The retail industry has seen major changes in recent years with the closing of national stores, mergers and acquisitions, and the growth in on-line shopping. What are the trends in the shopping habits of consumers, and how does this affect the current strategies for individual stores and for shopping mall managers? What are the differences and similarities in marketing to visitors and local shoppers? How was the 2017 holiday season, and what might we see going forward? Tina Yamaki is President of the Retail Merchants of Hawaii, a state-wide, not-for-profit trade association committed to the growth and development of the retail industry in Hawaii. Stephanie England is General Manager of Ka Makana Ali‘i, a new 1.4 million-square-foot mall which features more than 100 stores, restaurants, a theater and the state’s first Hampton Inn & Suites. Michael Fenley is General Manager of International Market Place, an iconic shopping, dining and entertainment destination in the heart of Waikiki that has served as a gathering place for kama’aina and visitors for generations. North Korea has significantly increased its missile testing this year. Hawaii, Alaska and Guam are reportedly now within range of an intercontinental missile. The situation seems to change rapidly and unexpectedly. Jerry Boster, Maritime Security Officer of the U.S. Pacific Command, advises the Commander on maritime security strategy and policy items related to the Asia-Pacific region. He is a graduate of the U.S. Naval Academy in Annapolis, Maryland, and completed graduate studies at the College of Naval Command and Staff at the Naval War College in Newport, Rhode Island. Major General Arthur “Joe” Logan, Adjutant General of the Hawaii State Department of Defense, oversees the training and readiness of 5,500 Soldiers and Airmen of the Hawaii National Guard. He also serves as Director of the Hawaii Emergency Management Agency, provides direct support to the Office of Veterans Services, and is the Homeland Security Advisor to Governor David Y. Ige. Before assuming his current position, he served as the G3, Hawaii Army National Guard. General Frances Mossman (ret.) has 45 years of combined experience in national security, defense, international relations and domestic programs at all levels of government. She retired from the U.S. Air Force as a Brigadier General, following a long military career and assignments on the air staff in Washington, D.C. Mossman received a Juris Doctor degree from The George Washington University National Law Center and a Bachelor of Arts degree from the University of Hawaii. The U.S. music industry is worth $17.2 billion (up almost 11% over the past 5 years) with ticket sales accounting for 43% of all revenues, according to PricewaterhouseCoopers (PwC). What are the challenges, opportunities and trends for the music business in Hawaii? What role do venues and promoters play? What is it like to be a professional musician in Hawaii? How has social media and live streaming changed the music business? What is the outlook for live music in Hawaii? Flash Hansen, Marketing & Promotions Director of BAMP Productions, is responsible for managing the marketing and positioning of BAMP Projects from concept to execution. He has been instrumental in growing the BAMP brand to become the leading source of top tier live entertainment production in the state. DeShannon Higa has performed locally and globally, and has recorded music for film, radio, videogames, studio and live CDs. His experience spans 30 years. Higa is the official musical arranger for and performs regularly with the Royal Hawaiian Band. He also leads several bands of his own creation. 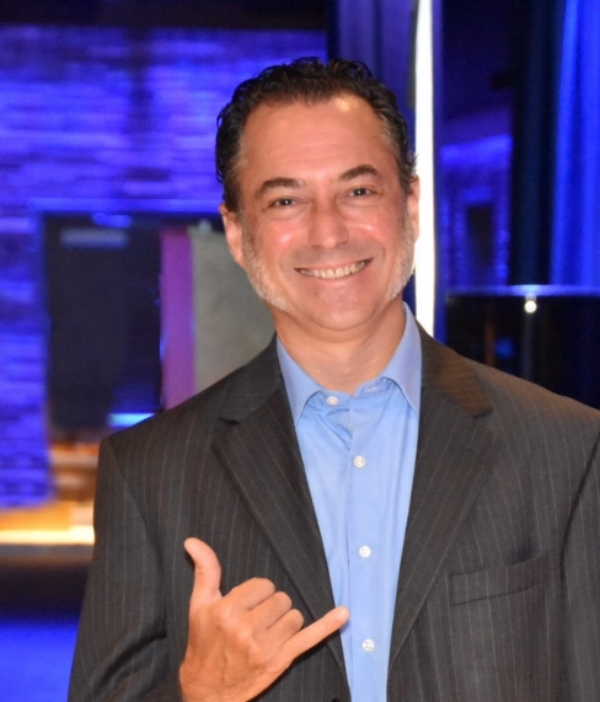 Marco Olivari, General Manager of Blue Note Hawaii, hails from New York City where he managed the flagship Blue Note Jazz Club prior to opening the Hawaii location. A 20-year veteran of high-end restaurant and music venue operations and programming, Marco is responsible for all day-to-day operations of the state’s premier live music venue. Hawaii aims to reach 100 percent renewable energy portfolio standards by 2045. With these aggressive targets, Hawaii is a national leader in clean energy and known as a test bed for energy innovation. 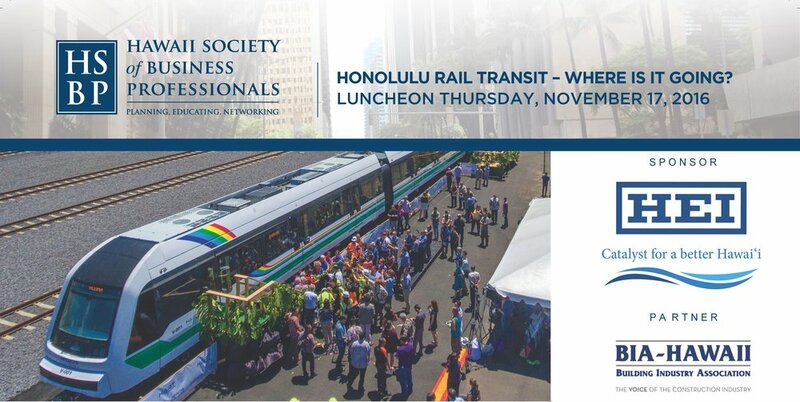 This luncheon brings together thought leaders and implementers to discuss the thesis behind this policy, current initiatives, and how Hawaii can reach its renewable energy goals. Brian Kealoha has been in the energy sector for over 20 years. As Hawaii Energy’s Executive Director, he helps educate island families and businesses about the benefits of energy efficiency and conservation. Aki Marceau, Hawaii Projects Deployment, works closely with Elemental Excelerator’s community partners and portfolio companies to co-design Demonstration Projects across Hawaii and the Asia Pacific. Shelee Kimura, Senior Vice President of Business Development & Strategic Planning at Hawaiian Electric Company, oversees the areas of new business development, strategy, demand response, electrification of transportation and renewable resources. In 2016, she received an award from the U.S. Clean Energy Education & Empowerment (C3E) for clean energy leadership. Experts estimate that we need to build at least 24,000 affordable housing units island wide on Oahu. Developers of new master-planned residential communities beyond Kakaako and Ala Moana are helping to meet the affordable housing needs. What qualifies as affordable housing? What are developers doing to satisfy affordable housing needs? What could be done to enable developers to deliver even more affordable units? Mary K. Flood is Senior Vice-President of Sales for D.R. Horton Hawaii, and a REALTOR®. D. R. Horton is the developer of Ho’opili, a community of 11,750 homes in Kapolei (Ewa Beach), with 30% priced for low to moderate income local residents. 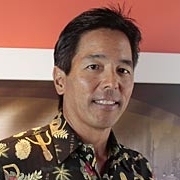 W. Bruce Barrett is Executive Vice President of Castle & Cooke Homes Hawaii, the developer of Koa Ridge, a community of 3,500 homes located in Central Oahu, with 30% meeting affordable housing criteria. Airbnb is an online marketplace for short-term vacation rentals, homestays, hotel rooms, apartments and hostels. Founded in 2008 as a technology start-up and headquartered in San Francisco, Airbnb recently completed a new round of funding totaling $1 billion. Listings of Hawaii rentals include cottages, guest houses, condominium apartments,studios, and individual rooms. • What is Airbnb’s business model? • How has Airbnb dealt with issues such as taxes, illegal rentals, problems with accommodations, and upset neighbors? • What is the effect of nonhotel-staying tourists on Hawaii’s economy? • How does the Trips app work, and what has been the response? What is its potential for changing the travel industry? • What are Airbnb’s plans for the future? Matt Middlebrook leads Airbnb’s policy efforts in Hawaii and San Francisco, working with legislators at both the state and local level on issues affecting short-term rentals. Prior to joining Airbnb, he was the executive vice president of development for Caruso, one of the largest privately held real estate firms in the United States. He has also served professionally as a political and communications strategist with senior roles in both the public and private sector. Matt is from California and lives with his family in San Francisco, where Airbnb is based. Coral reefs surround the Hawaiian Islands. They are a habitat for food fish, protect the land from erosion, and draw tourists to Hawaii. What is the importance of a healthy reef ecosystem? What are the changes in the oceans and how that will affect our economy, land values, and quality of life in Hawaii? What can we do to protect Hawaii’s coral reefs? In 2014, the coral reef in Kaneohe Bay was adversely affected after water temperatures rose and remained high for several weeks. Scientists and researchers are now monitoring the reefs in Kaneohe Bay and other Hawaiian waters. They are also working to protect reefs from adverse conditions, which could become more frequent and severe, and finding ways to restore and build resiliency. Ruth Gates, Director and Researcher, Hawaii Institute of Marine Biology, has received multi-million dollar support for her world-class research into coral. She is working to build a bank of coral stocks that are preconditioned to withstand the warmer and more acidic ocean conditions of the future. She received a B.S. with Honors in 1984, and a Ph.D. in 1990, both in Marine Biology from the University of Newcastle-upon Tyne, U.K.
Hawaii’s warm and sunny weather makes it an ideal location for amateur and professional sports events, especially during the cold winter months on the Mainland. Is there potential to grow sports events as a component of Hawaii’s economy? What do Mainland sports organizations look for in selecting a venue for their events? How do “local” sports events market to a national and international audience? What is the connection between sports events and tourism? Dr. Jim Barahal is President/CEO of the Honolulu Marathon Association, a position he has held since 1987. He founded The Hapalua - Hawaii's Half Marathon in 2012, and was inducted into the Hawaii Sports Hall of Fame in 2015. He is a physician and a founder of DOC Hawaii, which provides telemedicine for Hawaii residents and visitors. Jodi Wilmott is General Manager for the World Surf League with a focus on Hawaii and Tahiti. She has worked on more than 200 major international professional surfing events, traveling to more than a dozen countries and working with private industry and local governments. Professional surfing and the global surf industry have been a constant throughout her life. MAHALO TO OUR SPONSOR MONARCH INSURANCE. Downtown Honolulu is becoming a center for dining, socializing, and hospitality. What are the current trends in the dining and cocktail business? Why are entrepreneurs selecting downtown to open restaurants and cocktail bars, and what makes the location a good “fit” for these establishments? Our two panelists are from some of the most popular places to eat and drink in downtown Honolulu: Lucky Belly, Livestock Tavern, The Tchin Tchin! Bar, and Bar Leather Apron. They will discuss the current concept for their businesses, the business strategy of locating in downtown Honolulu, local trends in the food and beverage industry, and offer their insights on the national and global scene. Dusty Grable and Chef Jesse Cruz opened their first restaurant, Lucky Belly, in 2012, followed by Livestock Tavern in 2014, and The Tchin Tchin! Bar in 2016. All are located in Chinatown. He has worked for some of Hawaii’s most popular venues and also in San Francisco, where he had the opportunity to learn in a city that breathes food and beverage. Dusty will speak about current trends in the restaurant business, and why his establishments have been so successful. Justin Park is Bar Leather Apron’s head bartender and ambassador. Located in the Topa Financial Center, Bar Leather Apron is an intimate cocktail bar in downtown Honolulu. Justin will speak about the recent rise in sophistication and popularity of high-end mixed drinks and cocktail establishments. With over a decade of experience behind the bar, Justin sees the creation of the cocktail drink as merely one component of the entire bar experience—presentation, service and setting are equally as important as what is in the glass. Uber Technologies Inc. is a transportation network company (often referred to as a "ridesharing" company) that connects riders to drivers delivering a safe, reliable and affordable ride via the Uber mobile "app." Uber, which was founded in 2009 is headquartered in San Francisco, California and currently offers service in over 70 countries and 400 cities worldwide. Uber's success in Hawaii has raised many questions including: Do ridesharing companies help or hurt transportation centric development? How does Rail and Hawaii's business environment affect the ridesharing business model? What steps are being taken to ensure the safety of riders and drivers? Are there concerns about recently reported financial losses at Uber? What is the future of driverless cars? These and more will be part of a lively discussion with Andrew Magana, Senior Manager for Uber Hawaii. Andrew Magana is the Senior Manager for Uber in Hawaii. Andrew runs the local business which currently serves riders and drivers on Oahu and Maui. While at Uber, Andrew has led teams responsible for Southern CA operations and CA state regulatory compliance. Prior to Uber, Andrew worked as a VP at The Magellan Group a real estate development firm and as an US Navy officer deployed abroad. He is a graduate of Stanford Graduate School of Business and the US Naval Academy. The Honolulu Authority for Rapid Transit (HART) has made headlines recently with its search for a new CEO/Executive, the disclosure of the need for additional funding to complete the project to Ala Moana Center, the awarding of the bid for the Aloha Stadium to Middle Street segment to a new contractor, and more. What is the current status of HART and the Honolulu Rail Transit Project? When is construction expected to start in downtown? How will additional funding be obtained? What are the options for staying within budget? What is the process and timeline for naming a new CEO/Executive Director? Bill Brennan, Director of Communications for HART, assists in the development of communication strategy, media relations, public information and public involvement for the Honolulu Authority for Rapid Transportation and the Honolulu Rail Transit Project. He was a television news executive producer, reporter and anchor for KHON Fox 2. What’s the latest news on residential development in Kakaako? Is there room for Hawaii residents? How does rail transit fit in? How are developers able to successfully build affordable housing projects in Kakaako? What will it be like to live in a new urban community that combines homes, restaurants, entertainment and a neighborhood experience? Hear from two developers about their projects. rail transit station into the project. 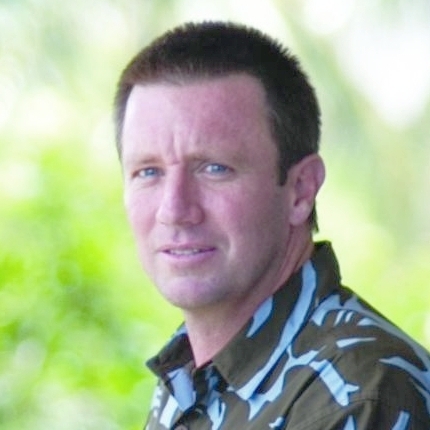 Todd Apo is Vice President of Community Development for The Howard Hughes Corp.’s Ward Village. Construction has started on Howard Hughes’ third mixed-use condominium tower in Kakaako, which will include the flagship store for Whole Foods Market. Hawaii Pacific University’s new president, John Gotanda, returned to Hawaii after a distinguished legal, teaching and administrative career on the Mainland, and now leads the largest private university in the State of Hawaii. He took office on July 1 and will speak about his strategic vision for HPU, how HPU’s curriculum will help address the current talent shortage, and his expectations for the Aloha Tower and Windward campuses. John Gotanda is a graduate of Roosevelt High School, the University of Hawai‘i at Manoa (BBA, 1984) and the William S. Richardson School of Law (J.D., 1987), where he was Editor-in-Chief of the University of Hawai‘i Law Review. He is the former dean of the law school at Villanova University, where he had previously served as Professor of Law, Associate Dean for Academic Affairs, Associate Dean for Faculty Research, and Director of the J.D./M.B.A. Program. He also served as a staff attorney with the United States Court of Appeals for the District of Columbia Circuit, an associate attorney with Covington & Burling (Washington, D.C.), and as an associate attorney with Goodwin, Procter & Hoar (Boston). Always popular, entertaining and discerning, the original Three B’s -- Dan Boylan, Richard Borreca and Jerry Burris -- are busy as bees preparing commentary and analysis on national, state and local elections. Make a beeline to the Prince Hotel on Friday, August 26, to hear the latest buzz from our distinguished panel. Dan Boylan is Emeritus Professor of History at the University of Hawaii--West Oahu. He writes a column entitled "Mostly Politics" for MidWeek. 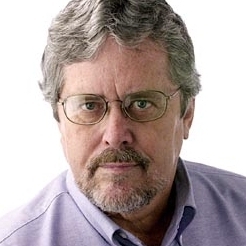 Jerry Burris is the former Editorial Page Editor for the Honolulu Advertiser, and currently a free-lance writer. Catherine Ngo is President and CEO of Central Pacific Bank, Hawaii’s fourth largest bank. She will share her perspective on leadership, core values and corporate culture. Catherine will also talk about her experience as Founding General Partner of Startup Capital Ventures, an early-stage venture capital firm investing in Silicon Valley and China. Catherine will discuss why having good mentors is such an important component to grow as a leader, whether that be a leader of a large corporation or a small startup. Catherine has over 20 years of executive experience in the financial services and private equity industries. She joined CPB in 2010 as Executive Vice President and Chief Administrative Officer and was promoted to President and CEO in 2015. Prior to joining CPB, Catherine served as Executive Vice President and General Counsel of Silicon Valley Bank. She also served as Chief Operating Officer of Alliant Partners, an investment banking subsidiary of Silicon Valley Bank, focused on sell-side mergers and acquisitions activities for technology companies. A graduate of the University of Virginia, School of Law, Catherine started her career in private law practice, focusing on banking and securities law. Catherine is board trustee, treasurer and executive committee member of the University of Hawaii Foundation, and board director of Hawaii Gas Company. She is also a director on the boards of Central Pacific Bank and its publicly-traded holding company. Mahalo Sponsor HAWAII USA FCU. Why is having a “healthy” company important for businesses? Our panelists will share their company’s philosophy and practice of running a "healthy" business, and the benefits to the staff and their company. John Thielst, Vice President, Managing Principal, has more than 15 years of management and consulting experience. His commitment to creating a positive working environment for staff has been fundamental as he leads Coffman’s Honolulu office. Vince Miyoi, Senior Vice President of Organizational Management, is responsible for Leadership Development, Talent Management, Employee Development & Relations, Succession Planning, Strategic Initiatives and Business Needs. Steve Petranik, Editor, Hawaii Business magazine, has thirty-five years of experience in news media. His goal is to focus the magazine's coverage on the big issues facing local businesses and the state economy, and being useful to the readers of Hawaii Business. Mahalo to our sponsor, Team Clean, Inc.
A Waikiki icon for over 50 years, the International Market Place is undergoing a major revitalization. Scheduled to open on August 25, 2016, the revitalized International Market Place will have approximately 75 retailers, including Saks Fifth Avenue, dining and entertainment. What is the retail vision for the reimagined International Market Place? How will the International Market Place attract residents and visitors? Will any of the original International Market Place be retained? Developed by Taubman Centers, Inc. and CoastWood Capital in conjunction with Queen Emma Land Company, the International Market Place will directly support The Queen’s Medical Center, the state’s largest private, nonprofit hospital. Michael Fenley was recently named General Manager of the International Market Place. He is responsible for operations, retailer and community relations and marketing the center. A long-time Taubman executive, Fenley brings more than 30 years of experience to his new position.